We use our own and 3rd party cookies to provide and enhance your experience of our site and for purposes such as marketing and analytics. COMPLIMENTARY DELIVERY ON ORDERS OVER $50. The time has come ladies to expose those toes for what’s going to be a Spring/Summer of shimmer, shine and all-out glamour with our new women’s orthotic sandals collection. To kick start the season, we have extended our boutique Elevated Collection with Lucia. 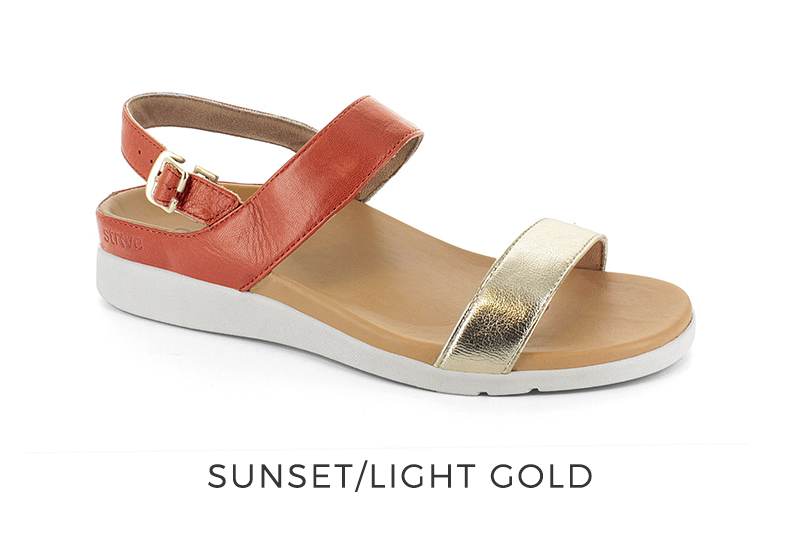 The first heeled sandal with a backstrap to give you a fully supported and comfortably secure fit. The healthy little heel lift adds elegant chic to any outfit no matter if you’re dressed up or down and is available in two luscious colours including sunset/light gold and silver. 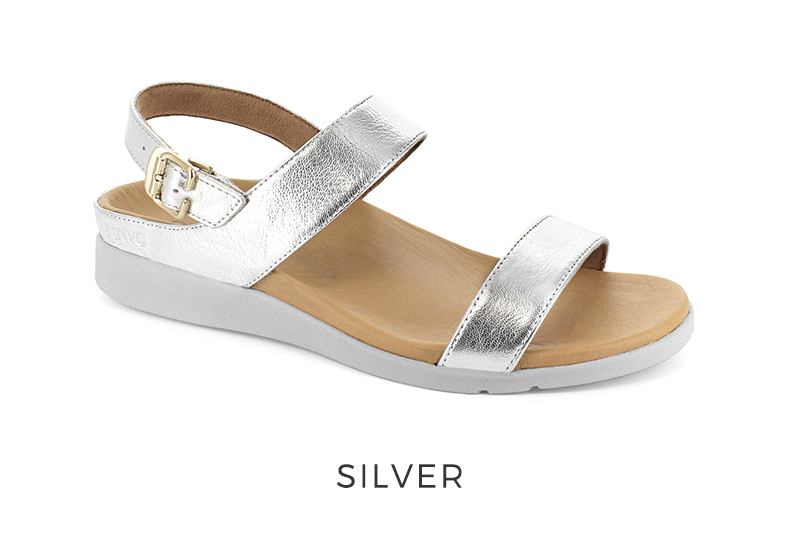 You’ll also recognise the easy on/off buckle fastening that’s the same as our Tropez sandals. 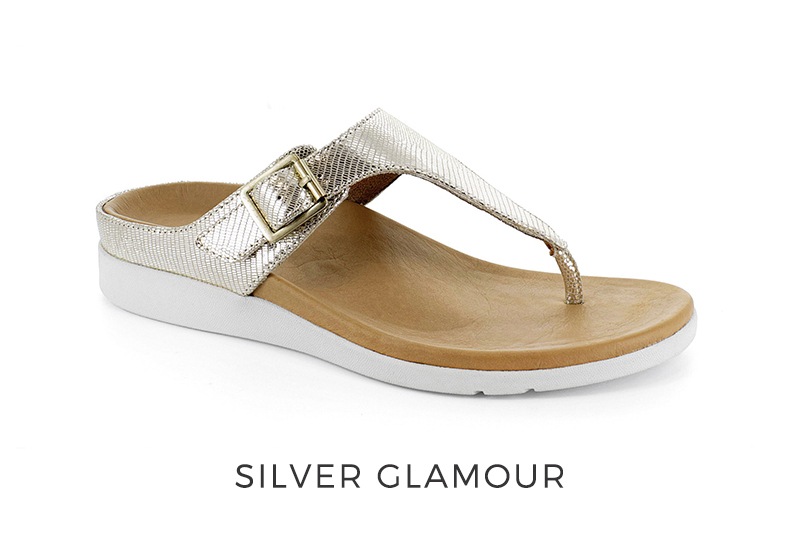 Brand new to SS19 is ‘Silver Glamour’ available on our Antibe elevated silhouette. This stunning leather has super-shine ready to bring glitz and glamour to any grand occasion. So, ditch the heels ladies and make way for a new kind of ‘glam’. 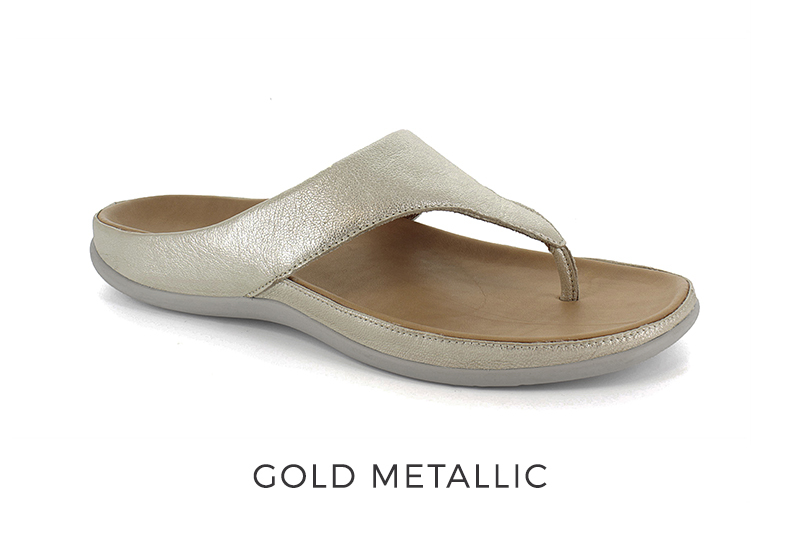 Metallics have always been a popular favourite so we’ve added a new hue to the collection by introducing ‘gold metallic’ on our Maui silhouette.